What are Relative Valuation Models? Relative valuation models are used to value companiesValuation MethodsWhen valuing a company as a going concern there are three main valuation methods used: DCF analysis, comparable companies, and precedent transactions. These methods of valuation are used in investment banking, equity research, private equity, corporate development, mergers & acquisitions, leveraged buyouts and finance by comparing them to other businesses based on certain metrics such as EV/RevenueEnterprise Value (EV) to Revenue MultipleThe Enterprise Value (EV) to Revenue multiple is a valuation metric used to value a business by dividing its enterprise value (equity plus debt minus cash) by its annual revenue. 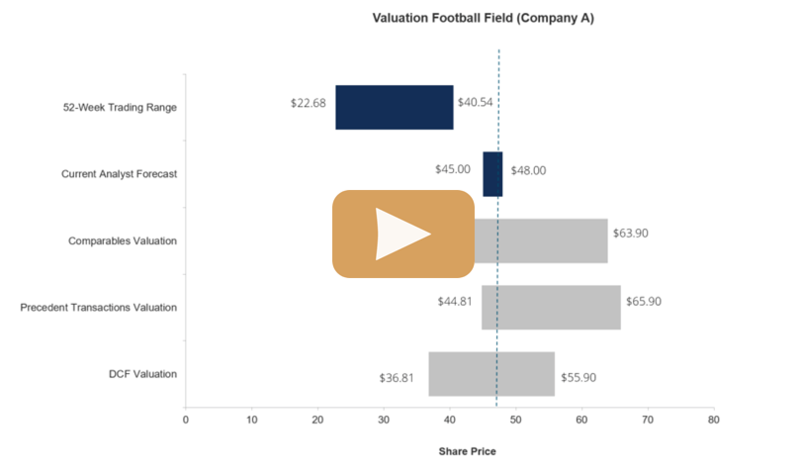 The EV to Revenue multiple is commonly used for, EV/EBITDA, and P/E ratios. The logic is that if similar companies are worth 10x earnings, then the company that’s being valued should also be worth 10x its earnings. This guide will provide detailed examples of how to perform relative valuation analysis. Comparable company analysisComparable Company AnalysisHow to perform Comparable Company Analysis. This guide shows you step-by-step how to build comparable company analysis ("Comps"), includes a free template and many examples. Comps is a relative valuation methodology that looks at ratios of similar public companies and uses them to derive the value of another business, or “Comps” for short, is commonly used to value firms by comparing them to publicly traded companies with similar business operations. An analyst will compare the current share price a public company relative to some metric such as its earnings to derive a P/E ratioPrice Earnings RatioThe Price Earnings Ratio (P/E Ratio) is the relationship between a company’s stock price and earnings per share. It gives investors a better sense of the value of a company. The P/E shows the expectations of the market and is the price you must pay per unit of current (or future) earnings. It will then use that ratio to value the company it is trying to determine the worth of. The advantages of Comps are that they are always current, and it’s easy to find financial information on public companies. Precedent transactionsPrecedent Transaction AnalysisPrecedent transaction analysis is a method of company valuation where past M&A transactions are used to value a comparable business today. Commonly referred to as “precedents”, this method of valuation is used to value an entire business as part of a merger/acquisition commonly prepared by analysts, or “Precedents” for short, is a method of valuing companies by looking at historical transactions where entire companies were bought or sold (mergers and acquisitionsMergers Acquisitions M&A ProcessThis guide takes you through all the steps in the M&A process. Learn how mergers and acquisitions and deals are completed. 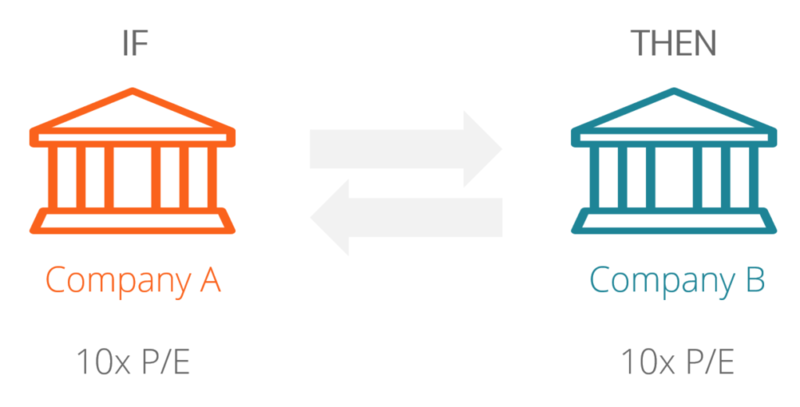 In this guide, we'll outline the acquisition process from start to finish, the various types of acquirers (strategic vs. financial buys), the importance of synergies, and transaction costs). These transactions show what an investor was willing to pay for the entire company. Precedents also use ratios, such as EV/EBTIDAEV/EBITDAEV/EBITDA is used in valuation to compare the value of similar businesses by evaluating their Enterprise Value (EV) to EBITDA multiple relative to an average. In this guide, we will break down the EV/EBTIDA multiple into its various components, and walk you through how to calculate it step by step. Precedents are useful for valuing an entire business (including a takeover premiumTakeover PremiumTakeover premium is the difference between the market value (or estimated value) of the company and the actual price to acquire it. The takeover premium is the additional cost of purchasing all shares in a merger and acquisition. The premium is paid due to (1) the value of control, and (2) the value of synergies or control premium), but can quickly become out of date, and the information can be difficult to find. 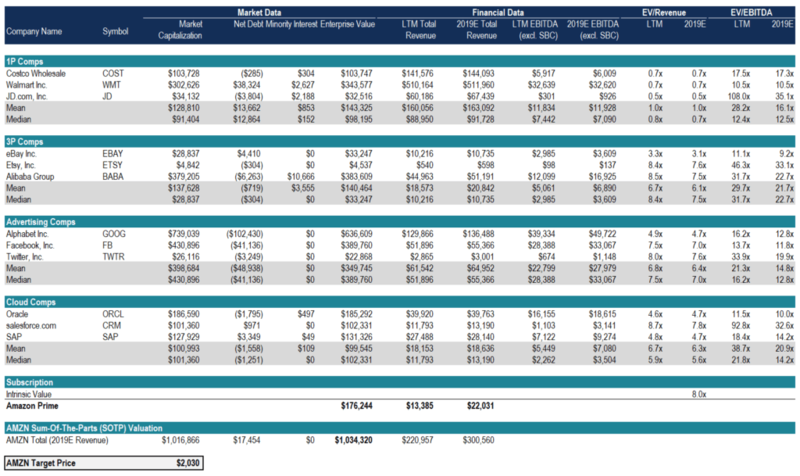 Below is an example of a relative valuation model from CFI’s Advanced Financial Modeling Course on Amazon. In the course, we use Amazon as a case study for performing a Sum Of The Parts (SOTP) analysisSum Of The Parts (SOTP) ValuationSum Of The Parts (SOTP) valuation is an approach to valuing a firm by separately assessing the value of each business segment or subsidiary and adding them to value the online retailer. As you can see in the screenshot, Amazon’s business is divided into several different segments: first-party sales (1P), third-party sales (3P), advertising, cloud computing, and subscription. For each of these segments, different publicly traded companies are used to gather trading multiples such as EV/Revenue and EV/EBITDA. Those trading multiples are then applied to Amazon’s revenue and EBITDAEBITDAEBITDA or Earnings Before Interest, Tax, Depreciation, Amortization is a company's profits before any of these net deductions are made. EBITDA focuses on the operating decisions of a business because it looks at the business’ profitability from core operations before the impact of capital structure. Formula, examples figures to determine the value of the entire business. While relative valuation models seek to value a business by companies to other companies, intrinsic valuationIntrinsic ValueThe intrinsic value of a business (or any investment security) is the present value of all expected future cash flows, discounted at the appropriate discount rate. Unlike relative forms of valuation that look at comparable companies, intrinsic valuation looks only at the inherent value of a business on its own. models see to value a business by looking only at the company on its own. The most common intrinsic valuation method is Discounted Cash Flow (DCF) analysisDiscounted Cash Flow DCF FormulaThe discounted cash flow DCF formula is the sum of the cash flow in each period divided by one plus the discount rate raised to the power of the period #. This article breaks down the DCF formula into simple terms with examples and a video of the calculation. The formula is used to determine the value of a business, which calculates the Net Present Value (NPV)Net Present Value (NPV)Net Present Value (NPV) is the value of all future cash flows (positive and negative) over the entire life of an investment discounted to the present. NPV analysis is a form of intrinsic valuation and is used extensively across finance and accounting for determining the value of a business, investment security, of a company’s future cash flowCash FlowCash Flow (CF) is the increase or decrease in the amount of money a business, institution, or individual has. In finance, the term is used to describe the amount of cash (currency) that is generated or consumed in a given time period. There are many types of CF. The benefits of a DCF model are that it includes lots of detail about the company’s business and isn’t concerned with how other companies are performing. The drawbacks are that many assumptions are required, and the company’s value is very sensitive to changes in some of those key assumptions. To learn more, check out CFI’s various financial modeling courses.